Those of you who read my blog already know that I love books by author Holly Bush. I began reading her novels years ago starting with Train Station Bride, and have read every one ever since. So, when the opportunity arose to read her latest – For The Brave – I jumped at it. Was I ever in for a sweet surprise. 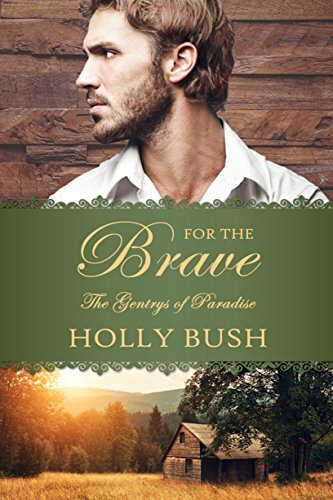 I’m already a big fan and already believed that Holly was a talented writer, but For The Brave proved to me that she is much more than just talented. Her writing is vivid and compelling, making it difficult to put this book down. 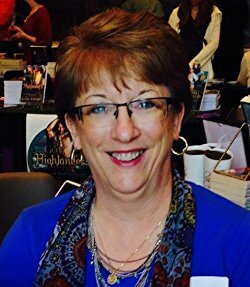 I’m in awe of how much she has grown as a writer, and I think we should look forward to big things happening for Holly Bush. Here is more about the book and my 5-Star review. For The Brave continues the story of The Gentrys of Paradise which began with the novella, Into The Evermore. Eleanor and Beau’s son, Matthew, leaves home at age eighteen to fight in the Civil War. After what he’s experienced at Gettysburg, as well as other battles, he’s found it easier to lose himself in a bottle and by traveling anywhere except home. Until one day when an beloved employee and good friend of his family finally finds him. Tragedy has struck his family, and it is time for Matthew to come home. However, on the way home, Matthew almost dies crossing a swollen river and is saved and cared for by the spunky Annie Campbell. After months of recuperating at Annie’s home, Matthew finds himself drawn to the strong, caring Annie. He is torn as he knows he must go home, but he doesn’t want to leave Annie behind. Holly makes her home with her husband, one happy Labrador Retriever, and two difficult cats in Lancaster County, Pennsylvania.